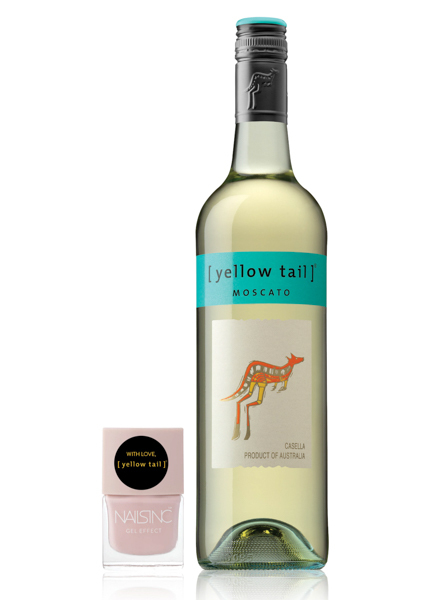 Yellow Tail Moscato x Nails Inc.-Drink Wine and Get Free Nail Polish! - Aleka Allen on 六月 29, 2016. Yellow Tail Moscato x Nails Inc. Launch Party – drink wine and receive a complimentary nail polish! Pull out your flip flops, BBQ grills, and sunscreen because summer is officially here! What better way to celebrate this hot new season than with a fun get together where wine, food, and manicures are offered? On Thursday, June 23, 2016, [yellow tail], in partnership with Nails Inc., hosted a chic party to celebrate the Ontario launch of their new Sparkling Moscato. For a limited time, consumers will be able to buy a bottle of [yellow tail] Sparkling Moscato at the LCBO with one of five Nails Inc nail polishes attached! This sparkling offer is available at select LCBO stores in Ontario throughout the summer (June 19-July 16 and August 14-September 10). This launch party was held at The Ten Spot, a full-service beauty salon inside The Bay at the Toronto Eaton Centre. Some of the city’s top beauty bloggers were in attendance at this small get together. Guests enjoyed some tasty and unpretentious hors d’oeuvres, manicures from Nails Inc., and glasses upon glasses of [yellow tail] Moscato. The wine itself was very refreshing, sweet, and light-bodied. The strong melon and peach notes in the aroma and tropical fruit notes on the finish would make this an excellent sipping wine on a hot summer evening. It would also make a fantastic wine base for light and fruity white sangrias. As already mentioned, this promotion will only be available for a limited time so grab a bottle of the [yellow tail] Sparkling Moscato and your free nail polish while it’s still available.